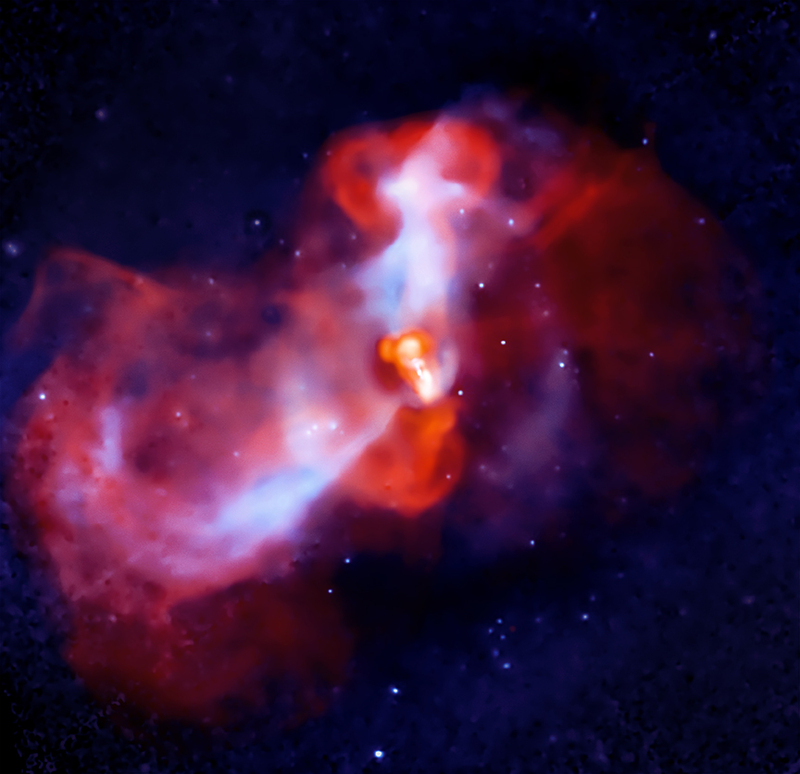 In the analogy with the Eyjafjallajokull volcano, the energetic particles produced in the vicinity of the black hole rise through the X-ray emitting atmosphere of the cluster, lifting up the coolest gas near the center of M87 in their wake. This is similar to the hot volcanic gases that drag up the clouds of dark ash. And just like the volcano here on Earth, shockwaves can be seen when the black hole pumps energetic particles into the cluster gas. The energetic particles, coolest gas and shockwaves are shown in this labeled version. These images show the eruption of a galactic "super-volcano" in the massive galaxy M87, as witnessed by NASA's Chandra X-ray Observatory and NSF's Very Large Array (VLA). At a distance of about 50 million light years, M87 is relatively close to Earth and lies at the center of the Virgo cluster, which contains thousands of galaxies. The cluster surrounding M87 is filled with hot gas glowing in X-ray light that is detected by Chandra. 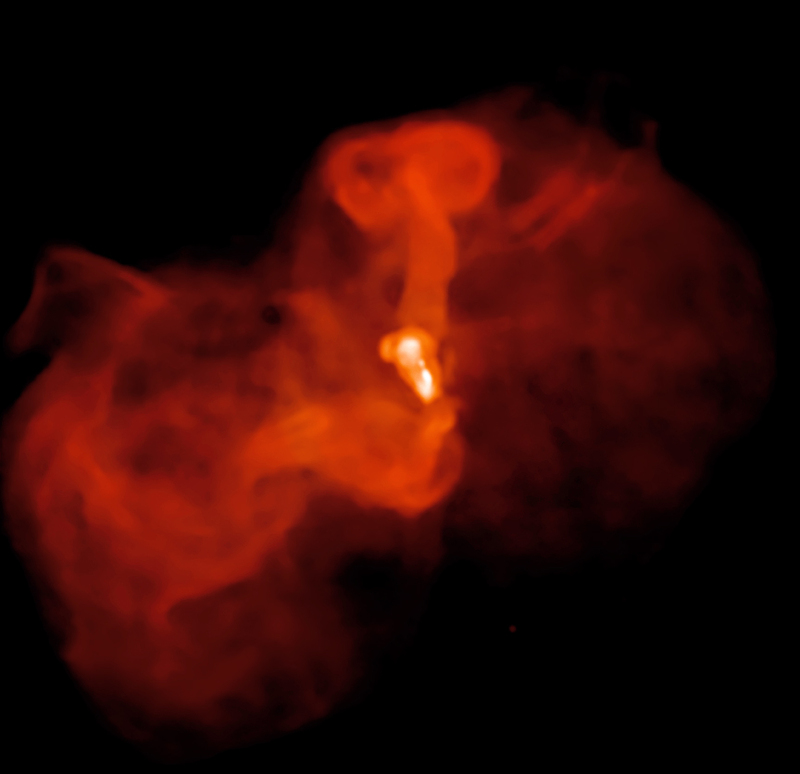 As this gas cools, it can fall toward the galaxy's center where it should continue to cool even faster and form new stars.